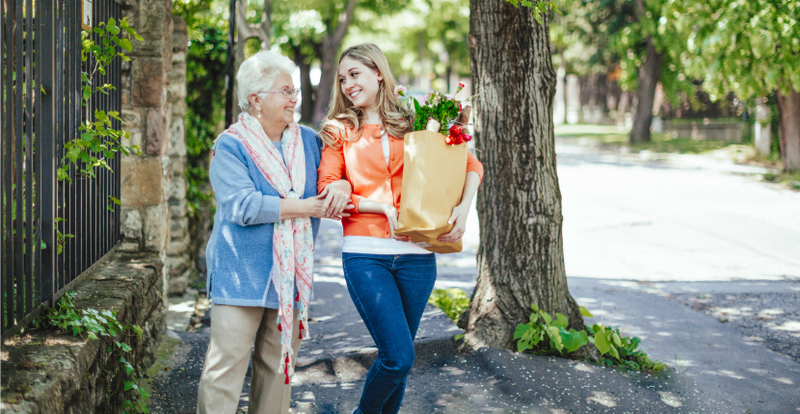 The demands of a caregiver are often times greater than we realize when we start out. Not only are you meeting the needs of someone else by providing home care services like preparing a care plan, evaluating medical needs, monitoring medication, preparing meals, and providing transportation – you’re also in charge of taking care of yourself. But many times, those who care for other often forget to help themselves. And one of the first rules of caregiving is that those in your care benefit most when you’re at your best. Providing personalized elder care for a loved one, like a parent of spouse can take its toll on your health and well-being. Consider a person whose husband or wife has a serious long-term health condition. Not only is the caregiver dealing with the physical, emotional and psychological effects of their loved ones health issues, according to research, persons between the ages of 66 and 96 are 63 percent more likely to put their own lives at risk than other non-caregivers the same age. And when it comes to the stress and mental and emotional strain of caregiving, age is not a factor. Caregiver burnout is an unfortunate reality for those who take care of others. But with the proper resources and a little planning in advance, you can avoid the negative effects. Lack of Control – Caregiving may drain considerable resources. Time and money are just a few and sometimes there may not be enough. It’s frustrating to feel them slipping away. Unrealistic Expectations – It’s common to feel like you haven’t done enough or that you are the one responsible for your loved one’s happiness. Role Confusion – Many people suddenly become their loved one’s caregiver. Separating that relationship from their new role can be difficult. The signs of caregiver burnout are obvious. Learn to identify them before they affect your health. Help your loved one by making sure they maintain as much of their independence as possible by installing grab bars in the bathroom or placing items that they need within reach. Enlist the help of friends, neighbors and family members, to help run errands, cook or clean. You may have formed some ideas or beliefs about taking care of yourself when you need it like proving to other family members that you can do it alone, feeling selfish for putting your needs first, or the fear of looking inadequate. Try to focus on the fact that you’re actually helping your loved one by being healthy yourself. Remember that even though you might feel discouraged at times, the sacrifices you make are enormous. You will reap the rewards of knowing you did all that you could to make a greater difference in their lives. If you are looking into home care services near Chicagoland, Freedom Home Care is ready to help. Contact Freedom Home Care today for all services to meet your needs.